While we were fortunate in Elizabeth City not to bear the brunt of Hurricane Florence, there were others south of us that were not as fortunate. To assist in relief efforts, we are hosting a supply drive to help the community of Belhaven, NC. Check out this opportunity to serve others in their time of need. 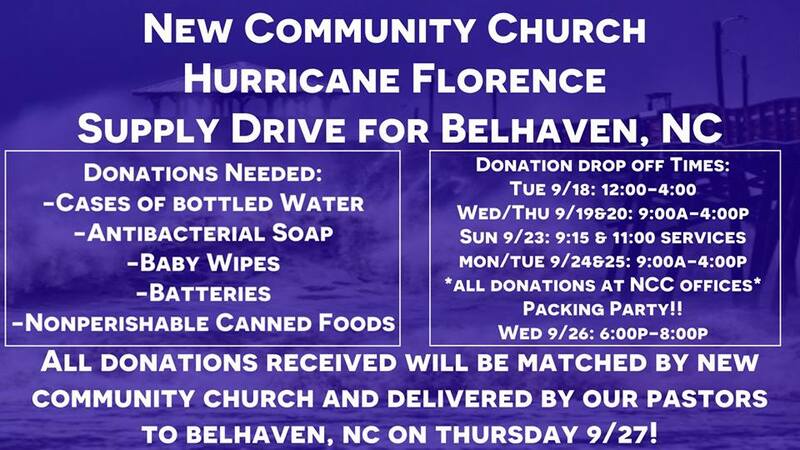 All donations that are dropped off at New Community will be doubled by the church and delivered by our pastors to Belhaven. Stay tuned for more info!